Tata is a major supplier of defence vehicles in India. Recently, Tata won the contract of supplying the Indian Armed Forces with the Tata Safari Storme, which will eventually replace from the Amry’s fleet. 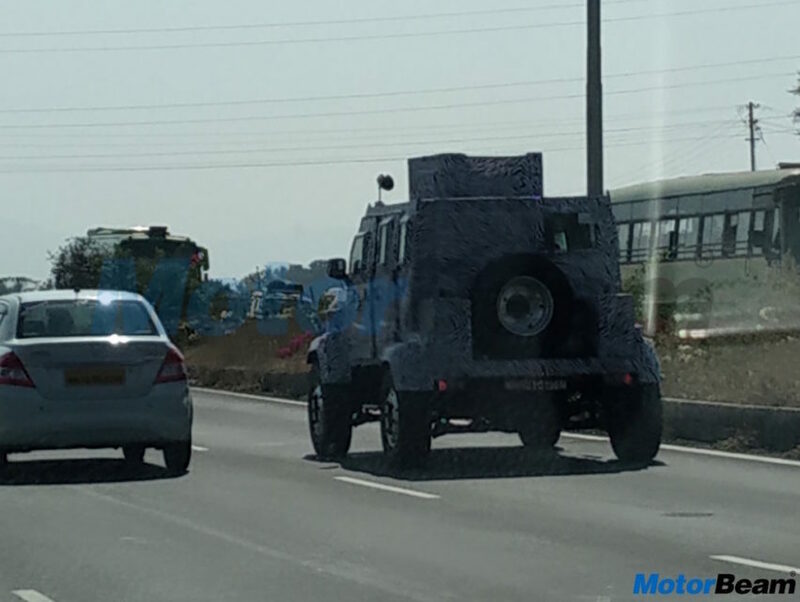 The new Light Support Vehicle (LSV) is likely to be called Merlin and was spotted testing on the Mumbai-Pune expressway. 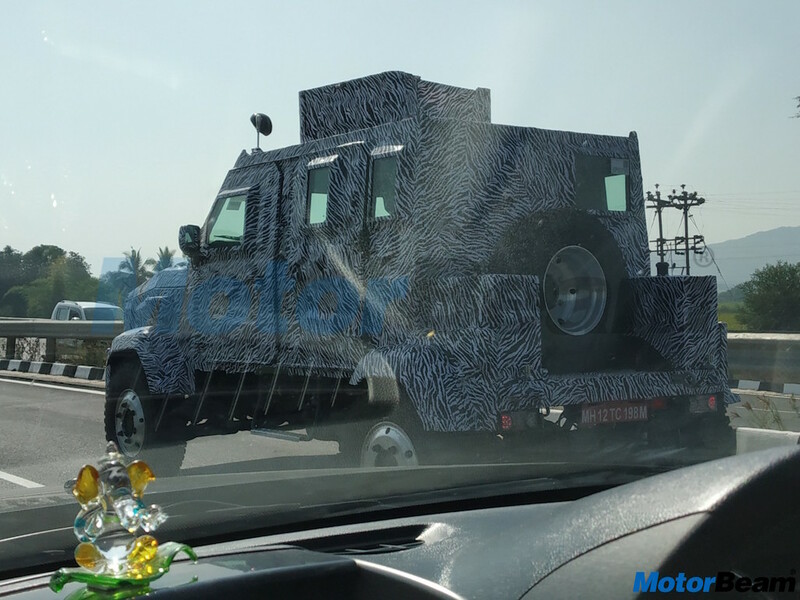 The upcoming vehicle has been spotted frequently testing under the heavy camouflage on the Indian roads and was last spotted doing high altitude testing in India. Tata Motor’s official website has revealed a few details about the upcoming vehicle. It gets STANAG 4569 Level-1 protection on the sides and rear. It is one of the highest rated protection according to the NATO standards. The Level-1 protection that the vehicle gets can save the occupants from artillery, grenade and mine blasts. It absorbs the kinetic energy to keep the occupants safe. The vehicle gets powered by a 3.3-litre liquid-cooled, direct-injection diesel engine. The common rail turbo-diesel engine produces a maximum of 185 Bhp at 3,200 rpm and a peak torque of 450 Nm at 2,400 rpm. It gets a 4X4 driving system, which will be able to take it to extremely challenging situations. It also gets run-flat tyres with advanced Central Tyre Inflation System. The system ensures that the air pressure in the tyres can be lowered to get more traction and then air can be filled in the tyres without any external source. Also, there is a self-recovering winch, which can get the Merlin out of most difficult terrains. The braking power comes from hydraulic boosters with vacuum assisted brakes on all the four wheels. It also gets the independent suspension on all the wheels. The Tata Merlin is well-equipped and can get customised weapons. In the stock form, it gets a 7.6mm medium machine gun turret on the roof and a 40mm automatic grenade launcher too. There are anti-tank missiles installed on the vehicle too. Tata has been supplying vehicles to the Armed Forces for a long time now. It also exports defence vehicles to other countries.